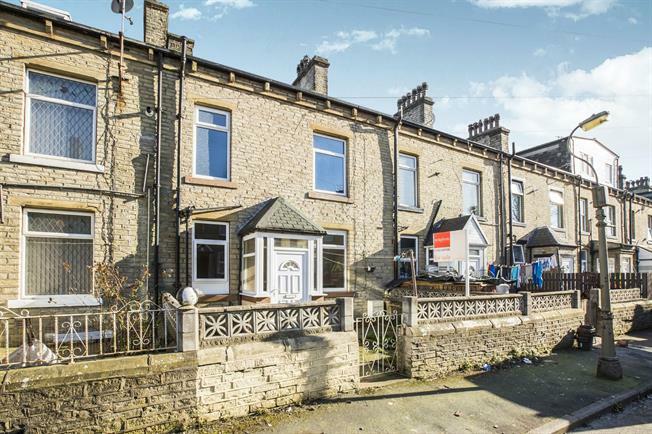 2 Bedroom Terraced House For Sale in Halifax for Asking Price £60,000. A well presented and recently redecorated stone built front mid terrace property, which is located in this ever popular residential area, briefly comprising a newly built porch, large lounge, a fitted kitchen, 2 double bedrooms, a spacious 4 piece family bathroom and a useful dry storage cellar. The property is in need of some modernisation and is priced to reflect this. Externally the property boasts a low maintenance paved enclosed garden to the front. 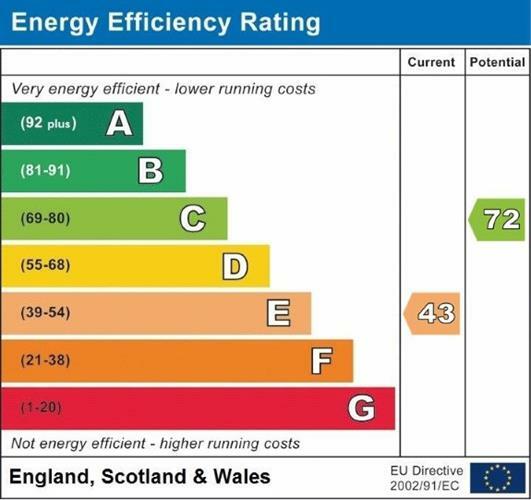 The property benefits for having new uPVC double glazing throughout. This superb property would be an ideal purchase for a first time buyer or for an investor looking to start or increase their investment portfolio and an internal inspection is highly recommended. UPVC front double glazed door opening onto the garden. Double glazed uPVC window facing the front overlooking the garden. Double glazed uPVC window facing the front overlooking the garden. Double radiator, carpeted flooring, built-in storage cupboard, picture rail, painted plaster ceiling, original coving and ceiling light. Double glazed uPVC window facing the front overlooking the garden. Radiator, vinyl flooring, built-in storage cupboard, timber ceiling and downlights. A range of wall and base units, one and a half bowl sink with mixer tap and drainer, space for oven and fridge. Double glazed uPVC window with obscure glass facing the front overlooking the garden. Radiator and heated towel rail, vinyl flooring, painted plaster ceiling and ceiling light. Low level WC, panelled bath, single enclosure corner shower and pedestal sink. Double bedroom with double glazed wood skylight window. Double radiator, carpeted flooring, timber ceiling and downlights.